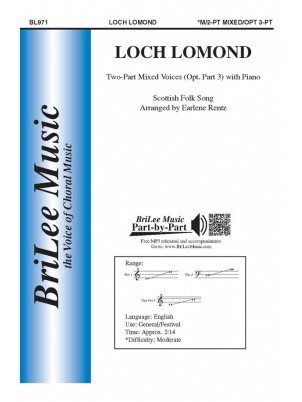 "Loch Lomond" is one of the most famous of all Scottish song - a song of friendship, of love, and of parting. While "Auld Lang Syne" has become one of the most familiar in our culture, oft used for ushering in the new year, it remains a heartfelt air, extolling enduring friendship and waxing nostalgic over the passage of time. "The Birks Of Aberfeldy" is a dance piece! Let the rhythm and accents hold sway as the piano rolics and the singers tease, tempt, cajole and invite the Bonnie Lassie! Also Included in this package is the hauntingly beautiful "Skye Boat Song," and "Afton Water." "These settings were commissioned by my alma mater California State University, Hayward, a place of happy memory and abiding affection and ties. How privileged I was to hear the premiere performance of the Chamber Singers and Dr. Roberta Brokaw, flute, conducted by Dr. David Stein on 15 March 1998. Three of the settings are of pre-existing tunes; O, My Luve Is Like a Red, Red Rose is originally composed. Similarly, two texts are from the tradition, and two sing the poetry of Robert Burns." 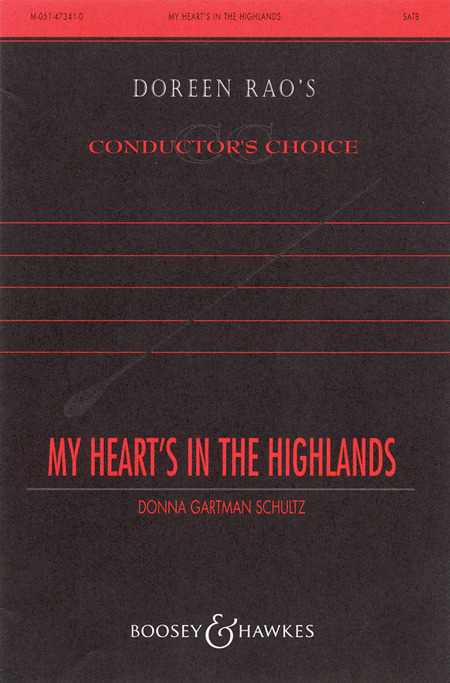 Singers and conductors of these works are encouraged to render the texts of these love songs with an ear to an authentic Scots accent. Selected for the Jo-Michael Scheibe Sacred Choral Series, this Scottish Christmas lullaby is tender and stirring. The Medieval text combined with Knecht's modern harmonies are further decorated by a flowing piano accompaniment. There is a timelessness to this carol. 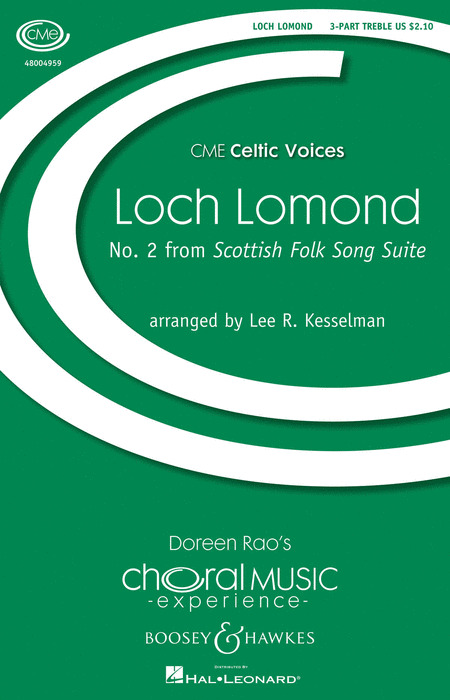 From the hills of Scotland come the sounds of twelve of this homelandaes familiar and best-loved melodies, masterfully arranged into a well-paced five minute collage. Scotland the Brave, Annie Laure, Charlie is My Darling Loch Lomond, Skye Boat Song, and The Barnyards O'Delgaty are just some of the featured tunes. To create an even more memorable performance, costumes, choreography, and even a bagpiper might be added. A marvelous choice to enhance a unit study on Scotland or any multicultural theme. 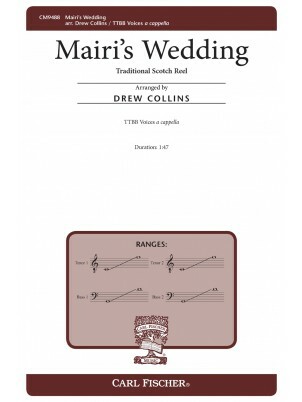 Also available: SATB (15/1519H) and Two-part with Descant (15/1521H). From the hills of Scotland come the sounds of twelve of this homeland's familiar and best-loved melodies, masterfully arranged into a well-paced five minute collage. Scotland the Brave, Annie Laurie, Charlie is My Darling, Loch Lomond, Skye Boat Song, and The Barnyards O'Delgaty are just some of the featured tunes. To create an even more memorable performance costumes, choreography, and even a bagpiper might be added. A marvelous choice to enhance a unit study on Scotland or any multicultural theme. 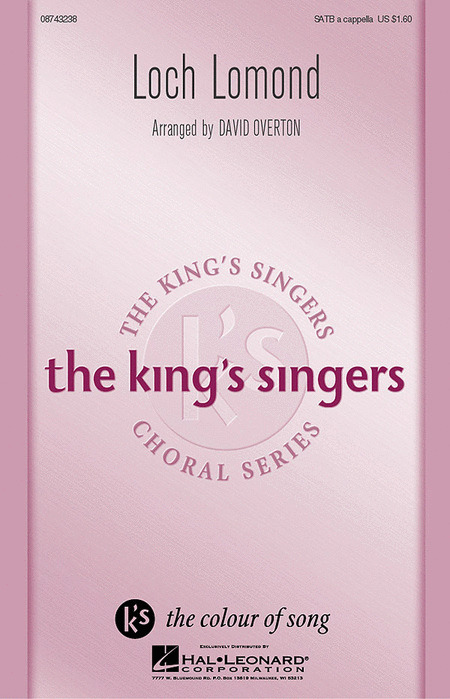 Also available: SATB (15/1519H0 and Three-part Mixed (15/1520H). Poor Aiken Drum! His strange story is humorously told in this Scottish folksong. Easy to learn and fun to perform!Available separately: 2-Part and 3-Part Mixed. ShowTrax CD also available. Performance time approx. 2:00. Baloo Baleerie is a beautiful Scottish lullaby appropriate for seasonal or general use. In English, Ruth Elaine Schram provides optional Gaelic text along with an accessible pronunciation guide. 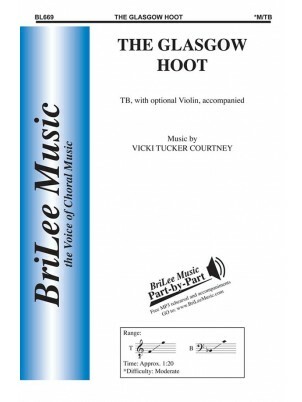 The vowels of the text lend themselves to teaching beautiful tone while singing this lovely, lilting lullaby. 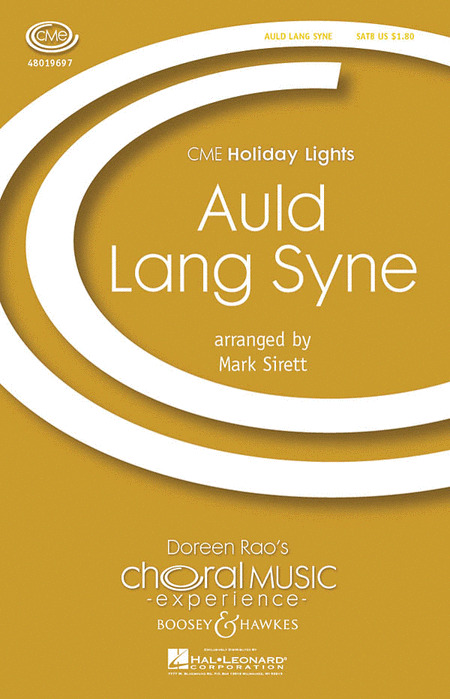 Ruth Morris Gray has created a unique, rhythmic setting of this traditional Scottish carol featuring a playful interchange between duple and triple meters and a truly joyful piano accompaniment. This lively setting is sure to lend a festive mood to your school or church holiday programs. 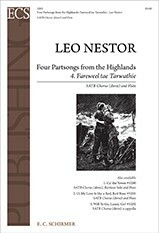 In this setting, the haunting Scottish melody is accompanied by a simple countermelody that is played by the recorder and later sung. 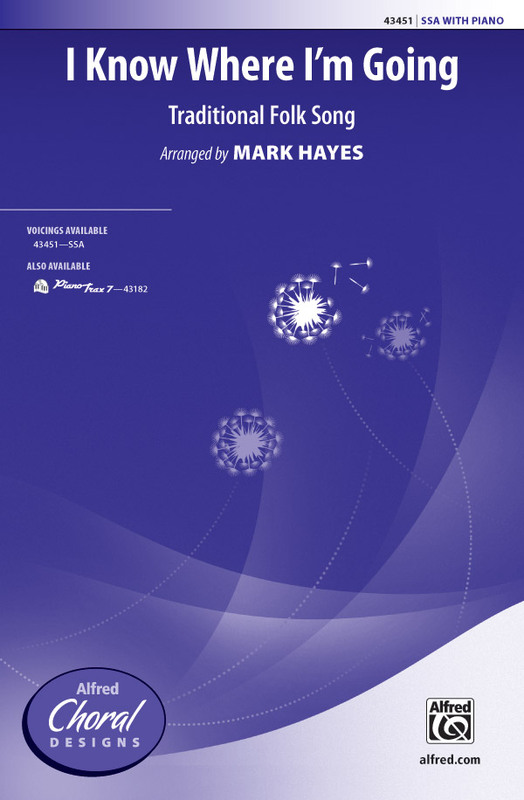 It provides an opportunity for young singers to gain vocal control over leaps, to develop a sense of phrasing, and to experience two-part singing in a contrapuntal texture. Duration: ca. 2:30. Featuring the text of As Lately We Watched and a familiar Scottish melody, this Christmas original is stunning in its beauty and simplicity. Features an optional instrumental obbligato. Your treble choir will enjoy this spirited Scottish folk song arrangement scored for SSA with optional violin, hand drum and guitar (in any combination). Each verse showcases a section (S1, S2 or alto) with the melody, supported by boisterous clapping. Depending on the needs of the ensemble, it may be performed with accompaniment or a cappella, and is appropriate for concert or festival use. The popular Scottish folksong Wild Mountain Thyme is set here for treble choir in a lilting 6/8. Ideal for contest, festival or a concert featuring music of the British Isles, this will be fun to rehearse and perform. This gently flowing setting of the traditional Scottish folksong is a perpetual favorite in King's Singers' concerts. 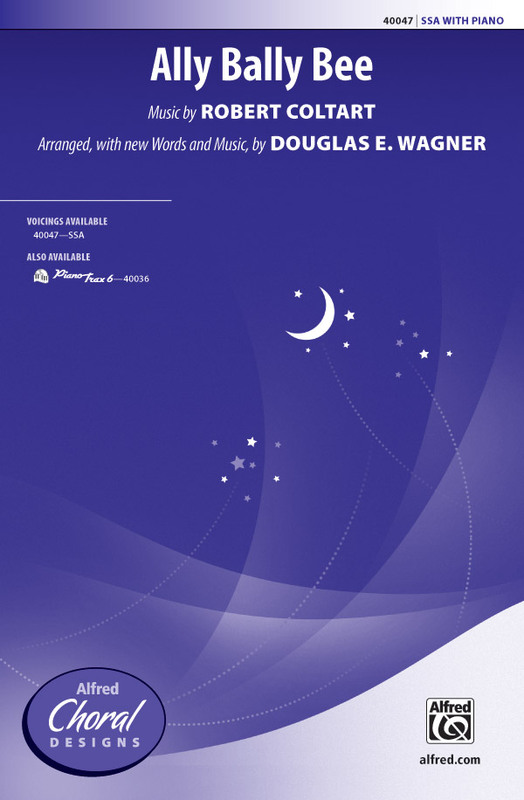 This arrangement by David Overton is simple and straightforward offering contrasts between the flowing interludes and the homophonic choruses. Opening with a lower voice ostinato, this fun and upbeat arrangement of the traditional tune captures the essence of Scotland. 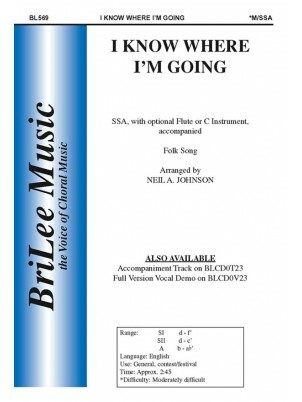 The conservative ranges make this piece appropriate for singers young and old. A lovely new tune combines with a traditional Scottish air to adorn the classic Rosetti text in this graceful setting. This delightful reel, traditionally sung and played at Scottish weddings, is toe-tappin' fun! From the opening unison statement until the final chord, men's ensembles can explore drama and healthy singing. This simple, yet elegant melody is reminiscent of a Welsh or Scottish folk song, but it's a new, original choral work from Carl Strommen. 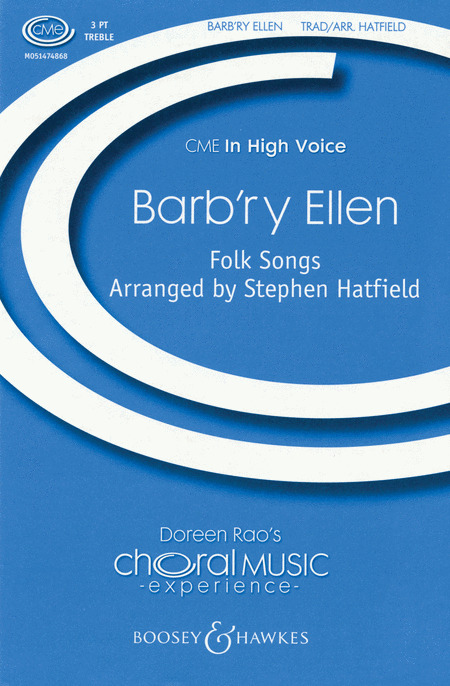 Carl's solid choral writing will make your choir sound its very best. 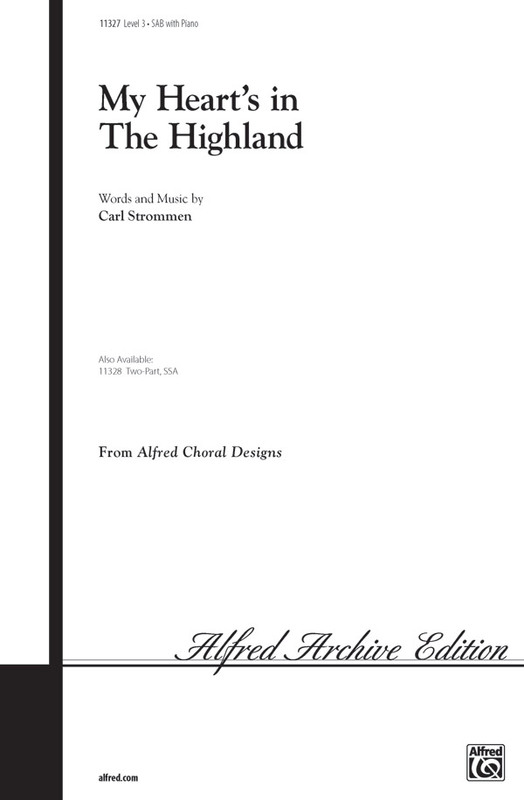 And the beautiful text ("My heart's in the highland above the heather blue.") evokes images of lush meadows of the British Isles. Wonderful opportunities to work on choral phrasing. An optional solo opens this serene, flowing, and extremely expressive original, complemented by luscious harmonies and a rich accompaniment. With words by Robert Burns, the melody used in this setting is an entirely new one, but one which is somewhat reminiscent of an old Scottish air. With Violin and Piano. 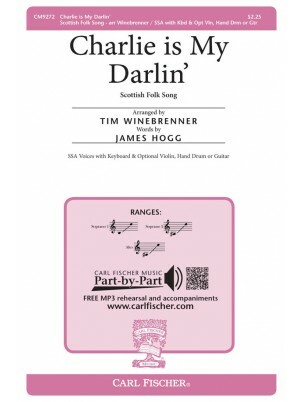 All the loss and longing of the traditional Scottish ballad are present in this tender tribute to Bonnie Prince Charlie, the dashing darling. Your SSA choir will shine in this sensitive setting which includes violin (or other C instrument) obbligato.